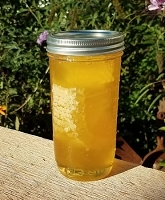 Raw Bamboo Honey in a 1 gallon container which is 12 pounds of honey. 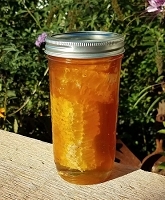 Raw bamboo honey in a 1 gallon container which is 12 pounds of honey. Raw honey has not been heated and simply filtered through a large mesh screen. The screen removes larger particles and allows pollen, propolis and beeswax particles to pass through it. Bamboo honey comes from the Japanese Knotweed plant which is found in 39 of the 50 states. This plant is considered a very invasive weed. In the U.S.A. it is listed as an invasive weed in Ohio, Vermont, Virginia, New York and Washington states. This product deserves all the stars, not just 5. You know you have truly raw quality in your hands just by looking at it. And the texture and taste more than validates this notion. It is incredibly nutritious and the taste is amazing. For health reasons, I consume raw aloe vera juice daily, but the only way I can drink it is if I mix it with your honey, which in turn enhances the nutritional value of the experience. I am forever grateful for your product. Thank you, thank you, thank you! God bless you all! Must say I absolutely love this honey. It's got a bolder flavor then the wildflower which is my husbands fav . Me...I love them all!! Ty until next order?? As with the 5lb Bamboo I use this for mead making. It has a very good flavor for whatever you might use it for. I highly recommend this. I like the honey. It has a different taste than the lighter honeys but still very good. I have read that darker honey has more nutrients than lighter honeys so I think I am going to switch to darker honey as my new honey. 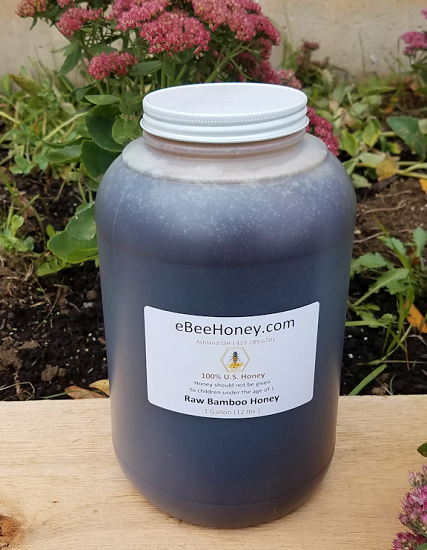 This was the first time I bought honey from ebeehoney, and it won't be the last! I love the bamboo/knotweed honey! Thank you for selling it online. This is my 2nd order of raw Bamboo Honey in the 12lb size! I've had lots of honey, from store bought to locally produced Wild Flower Honey. 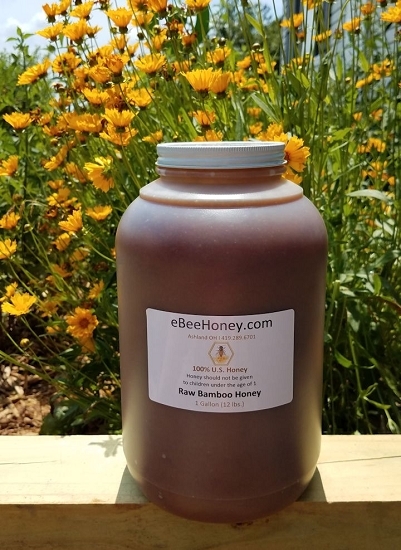 I'd say out of all the Honey I've had in the past 10 years, ebeehoney's Bamboo Honey is officially my new #1 favorite Honey! It goes great with any type of tea, and plenty of other things that require a natural sweetener! Ebeehoney also has great customer service! Thanks for my last order Becky....I really like the Goldenrod Honey! This bamboo honey or Japanese knotweed honey is so amazing. I love it.It arrived in a crystallized form.It is closer to a creamed consistently than the huge crystals I am used to.It is amazing.WoW!! It iswonderful tasting honey!! Liquid or crystalized! It does not matter!! WoW!! 5 stars all the way!! You have some talentented bees!! Thank you!!!!!! Thank you!!! It was a little surprise for me about this honey. It's creamier than what I got last year. I mixed it up with royal jelly. OMG! It's taste better than any fruit preserves. Can't stop eating it. Will be back with this honey and royal jelly again soon. Shipping was fast and the honey has a beautiful flavor. I think this is about the 10th gallon I have purchased. 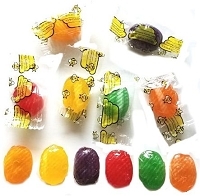 Not all the same type, but all were exceptional. The Bamboo is my favorite so far. What can I say the title says it all. This honey has a strong taste, and seems to have a medicinal quality. I've been eating many tablespoons per day, and although I am aware that persons in certain tribal cultures in Africa ate 2 or 3 pounds of honey in a single day when they found a wild hive, I don't think I could eat that much of this honey! Stephen Harrod Buhner, a well-known herbalist and author of a book about herbal treatment of Lyme disease, includes Japanese Knotweed as a part of his Lyme treatment. Although I don't know if I have Lyme, I wonder if the medicinal effects of Knotweed are coming into me through this honey and affecting some "cloaked" bacteria and/or cysts formed by chronic low-level infections. Love this honey-! I order something new each year from eBee, to use for gifts and myself. 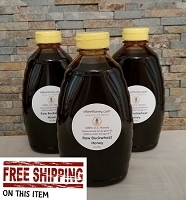 The Bamboo raw honey is very clean, rich, thick & flavorful. I appreciate the fact that the darker honeys may have more antioxidants, but the flavor is also excellent. Some people may not know that the Giant Knotweed plant, from which this honey is taken, is the main source of Resveratrol in health supplements (known as HuZhang in Chinese herbology). It is a major anti-ageing nutrient. This honey is rich and flavorful. I have not found any other suppliers selling this kind of honey.